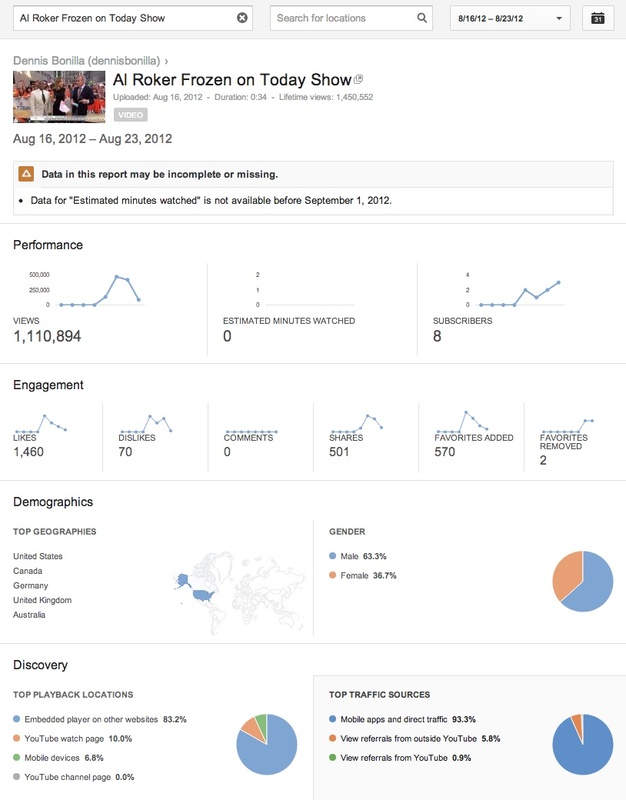 The first video in this case study has 1.4 million views on YouTube. The second video has over 600,000 views on YouTube. Outside of my professional life I run a pop culture blog with a couple friends. During development of content for that site I often run marketing and content strategy experiments. To support theories I’ve written about on the blog I was recently challenged by a friend to develop viral content for a random event on television. Few guidelines were given, the challenge was simply to see if a video could be promoted to reach over a million views without an advertising budget. I identified components such as content exclusivity, timeliness, and blooper element that needed to exist for the content to hook viewers quickly. The difficult part was waiting for the serendipitous moment in which a pop culture event could be turned into a digital artifact. 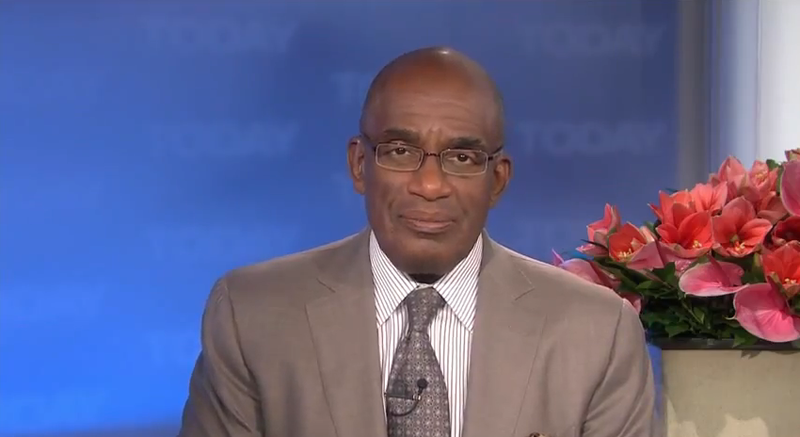 On Thursday, August 16, 2012 at exactly 8am EDT Al Roker had a strange but comical moment on the Today Show. 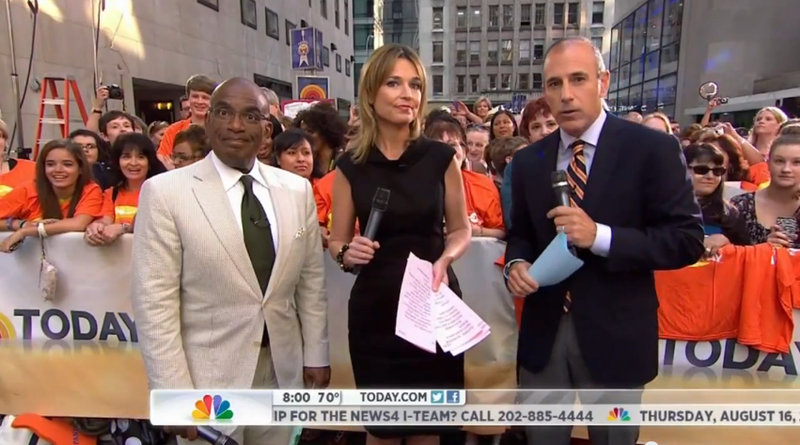 Al Roker appeared to freeze on camera. I realized I could capitalize on the moment by uploading an HD version of the blooper to YouTube immediately after the event occurred. The video link was then submitted to internet content aggregators. This is the video I uploaded. The initial video took approximately 3 days to hit its stride and was eventually carried by the Today Show during a viral content highlight. TMZ also carried the video which boosted its numbers 4 days into the campaign. As a follow up I posted another blooper which I correctly assumed TMZ would notice.